Gen. Joseph Votel, the chief of U.S. Central Command (CENTCOM), charged with overseeing the war in Afghanistan, warned Pentagon reporters on Wednesday the American military is “concerned” ISIS in Afghanistan intends to attack the West. “I think we always have to be concerned about ISIS, whether it’s ISIS-K or whether it’s any of the other branches of it, harboring intentions to operate, you know, much more globally or externally from the areas in which they’re operating. And so, you know, we do have that concern about them,” Votel said. The ISIS branch in South Asia, which primarily operates in Afghanistan and Pakistan, is known as the Khorasan Province (ISIS-K). ISIS officially announced its presence in Afghanistan in early 2015, less than a year after the United States declared its combat mission over at the end of 2014. The U.S. has been assisting the Afghan forces in their fight against ISIS in their stronghold of Nangarhar. The general stressed that U.S. efforts towards “reconciliation” between Kabul and the Taliban, the primary goal of American President Donald Trump’s strategy to end to the nearly 17-year-old war, are separate from the fight to annihilate ISIS. “It is important to recognize that while we apply military pressure against the Taliban to bring them to the table of reconciliation, we harbor no illusion about reconciliation with ISIS-K; our mission is to destroy this organization,” he declared. 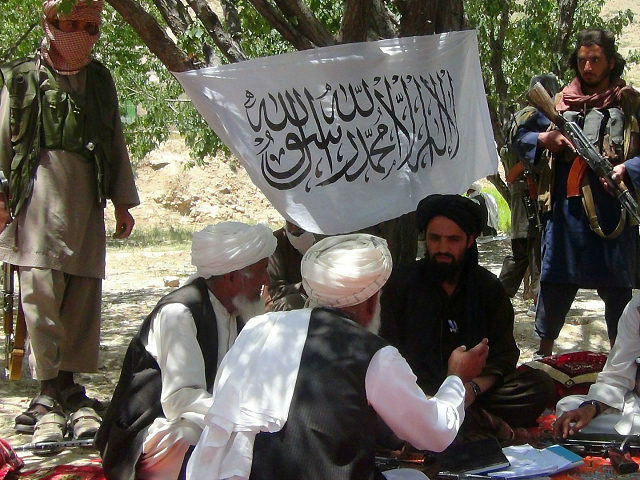 “IS-Khorasan is thought to have more than 1,000 fighters, most of them located in Afghanistan’s southern Nangarhar province, with a small number operating in the country’s eastern Kunar province,” VOA added. The ISIS branch reportedly reached a peak of 3,000 fighters in Afghanistan. According to a report from the United Nations Mission in Afghanistan (UNAMA), ISIS-K was behind more than 50 percent of civilian casualties in the war-ravaged country through the first half of 2018. The University of Maryland’s renowned National Consortium for the Study of Terrorism and Responses to Terrorism (START) listed ISIS-K among the 10 top prolifically deadliest terrorist group’s in the world last year, separate from core Islamic State in Iraq and Syria. Last year, ISIS-K carried out 197 attacks, killing 1,302 people, the study revealed.